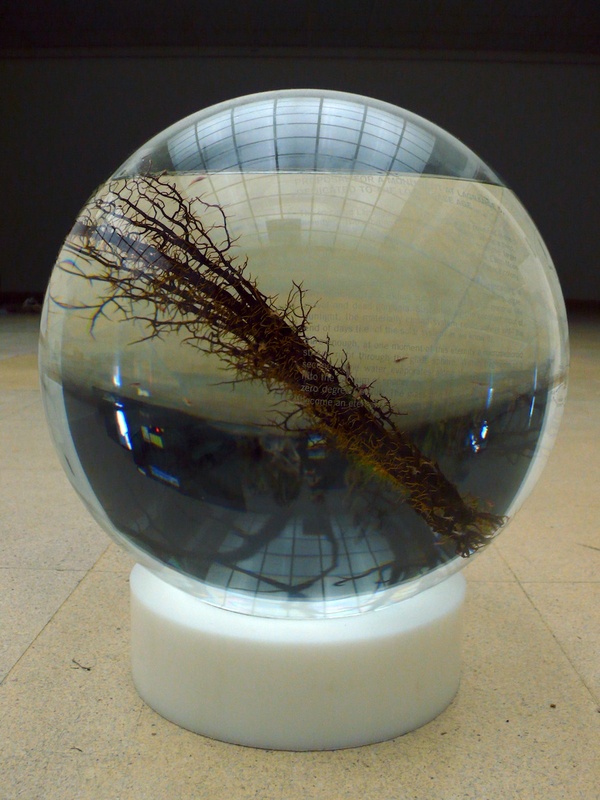 Ein Blick durch Millionen Tropfen, die sich durch Kondensation an der Innenseite des Glashauses sammeln; Erinnerungen an vergangene Zukünfte; die Liste möglicher Bibliografien zu “Biosphere 2: Projections of N-Dimensional Architecture”, S. 152 ff; Inventur der Anagramme von WHAT IS LIFE, z.B. I FELT A WISH. A first spatial presentation of the translation of The Ninth Biospherian, a historical SF-novel about Biosphere 2. This was written by ralo. Posted on Saturday, August 2, 2008, at 8:09 pm. Filed under exhibitions, stuff in engl., works. Tagged biosphere 2, film, life, lists, ruins, space, space colony. Bookmark the permalink. Follow comments here with the RSS feed. Post a comment or leave a trackback.